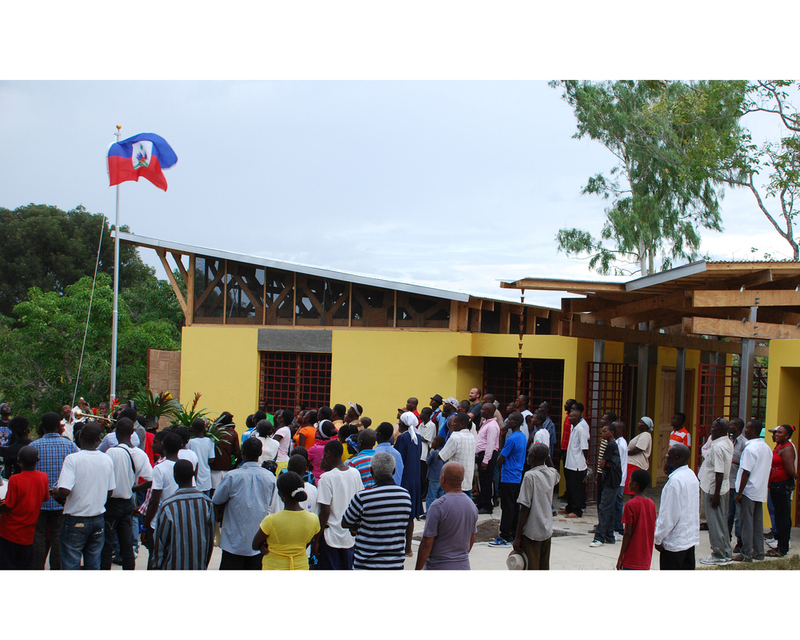 Architect Mike Gwin arrived in Haiti in the fall of 2011, when buildings still lay in rubble and trauma was still fresh from the Jan. 12, 2010, earthquake that killed an estimated 316,000 people, injured almost as many and displaced a million. 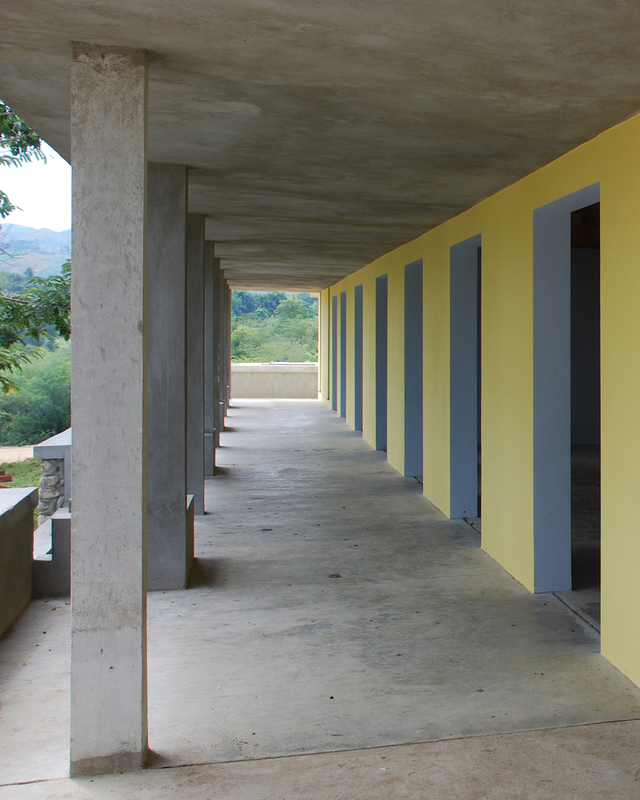 A principal at Rothschild Doyno Collaborative, a Strip District architectural firm, Mr. Gwin led a design project on a site near the central city of Hinche — the Sant Lespwa Center of Hope. The resulting building — a 5,000-square-foot, solar powered community center with natural ventilation and rain collection for a cistern — has won an American Institute of Architects’ national honor award for buildings. The winners were announced Friday. One of 11 winners in the building category, Rothschild Doyno was among 300 applicants. The two other categories are regional/urban design and interior design. A Pittsburgh firm working alone hasn’t won the award since 1999, when Bohlin Cywinski Jackson won for the Robert L. Pregar Intelligent Workplace at Carnegie Mellon University. Other Pittsburgh firms, including Perkins Eastman, and Bohlin with various associates, have won national AIA awards in association with firms from other cities, and several local buildings have been recognized, including CMU’s Software Engineering Institute (1990) and the Children’s Museum (2006). The site owner is World Vision, the international aid organization that first hired Rothschild Doyno to design its distribution center near Sewickley in the 1990s. The community center is part of its larger plan to help the local economy, Mr. Gwin said. , adding, “It will be a training place for young adults and a resource center for people of all ages. 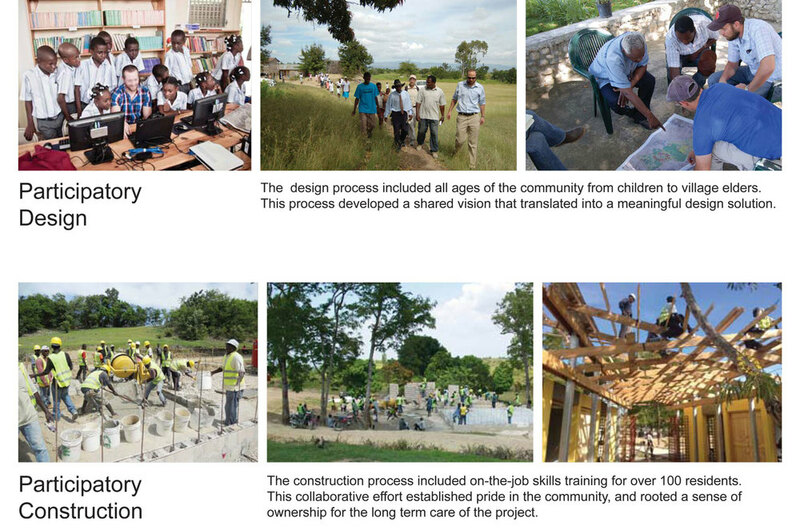 In addition, the contractor trained more than 100 residents to be part of the construction crew. Residents used to have to walk 2 to 3 miles to collect drinkable water but now have a well on the site, drilled as part of the site plan. “If we did nothing else but to drill that well, it would have been a great achievement,” said Dan Rothschild, also a principal at Rothschild Doyno. With no plumbing, electricity or mechanical systems, the new center’s butterfly roof serves two functions: to channel rain to an underground cistern and draw breezes into the building, which is shaded by mature trees. Mr. Gwin said the building is lit naturally. 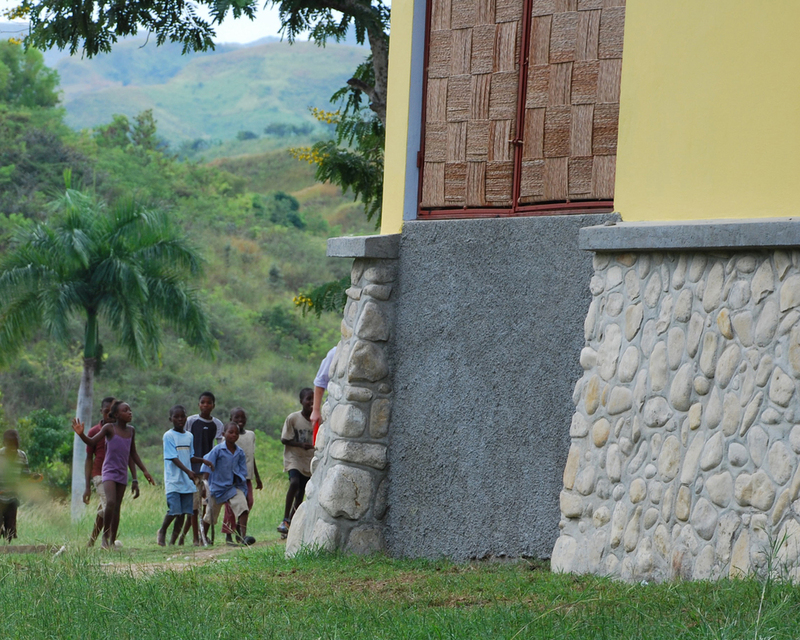 Mr. Gwin said the trips to Haiti were an education in what devastation looks like, not just to the physical landscape but to people’s sense of pride and well-being.